Jan. 29 is a bit later than tax season usually starts. The tax deadline this year is April 17, and the period of time between these two dates is commonly known as tax season. To be clear, many tax-preparation companies and tax software programs will accept tax returns before this date. Many tax-prep offices are open for business already. However, they cannot submit returns until the IRS system opens on Jan. 29, so the tax refund timetable can’t begin until that time. Speaking of refunds, while the IRS doesn’t commit to a specific refund date when you submit your return, the agency anticipates that over 90% of refunds will be issued within 21 days. While most people file electronically these days, the combination of electronic filing (e-filing) and direct deposit is the quickest way to get your refund. And refunds for returns claiming the Earned Income Tax Credit or the Additional Child Tax Credit will not be issued before mid-February, regardless of how early the return was filed. Once the IRS accepts and processes your tax return, you can use the Where’s My Refund tool to find the expected date when your refund will be deposited. Here’s a little-known fact. A big tax refund is not necessarily a good thing. A tax refund generally results because too much money was withheld from your paychecks throughout the year. Think of it this way: If your income, family situation, and tax deductions and credits result in a tax of $10,000 for the year, but $12,000 has been withheld from your paychecks, you get $2,000 of it back. While it may sound nice to get a big windfall of cash once a year, this is really just an interest-free loan from you to the IRS. In other words, the sooner you get your money back, the sooner you can put it to work for yourself — paying down credit card debt, adding to your emergency fund, or investing for the future. 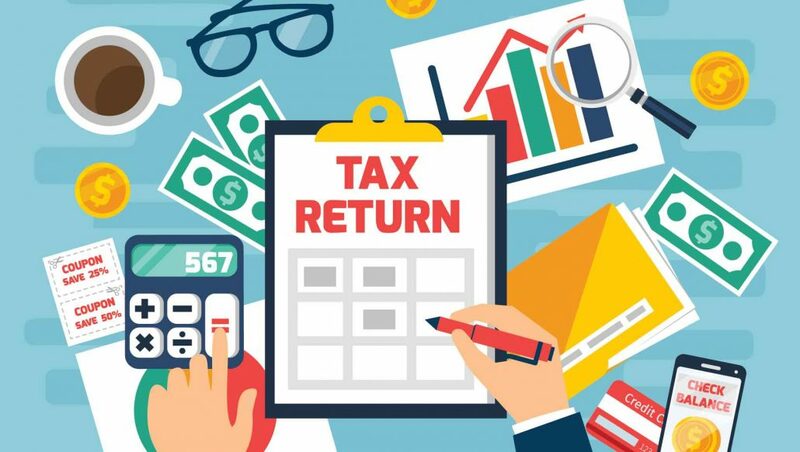 On that note, if you don’t consider yourself tax-savvy, it may be a good idea to seek professional advice from a reputable tax-return preparer to be sure your refund is as large as it can legally be. “Understanding what tax breaks are available to you is why it is so important to see a tax professional. Waiting to file means you are losing out on your interest earning potential,” said Mark Steber, chief tax officer of Jackson Hewitt. Finally, as a follow-up point for 2018, if you get a big tax refund this year, it can be a smart idea to visit your payroll department and adjust your withholdings to a more appropriate level. The best thing you can do is to have just enough withheld from your paychecks to cover your tax bill, and not much more. I’d rather have each of my bi-weekly paychecks $100 higher instead of getting a $2,600 tax refund months after the year ended. Getting your tax return submitted to the IRS as soon as possible can be a highly effective way to prevent identity theft. One common form of identity theft involves criminals who file phony tax returns using the identifying information of people like you and me, with the goal of collecting a big tax refund before anyone realizes what’s happened. To give credit where it’s due, the IRS has gotten much better about detecting and preventing fraudulent returns in recent years. In fact, the agency says its improved processes helped it stop 787,000 phony returns in 2016. That said, this is still a major problem. Here’s where filing early comes in. The IRS accepts only one tax return per Social Security number, which is why many people first realize they’ve been victimized when they unsuccessfully try to file their returns. However, if you file as soon as possible, you’re effectively eliminating the possibility of having a false return filed in your name. “Filing early is the most proactive way to protect yourself against tax return fraud. It’s the best way to prevent an identity thief from filing a fraudulent tax return — your tax return — before you,” Steber said. As a final thought, it’s important to mention that you shouldn’t file your tax return until you’re ready to do so, meaning you have received all of the appropriate documentation — W-2s, 1099s, mortgage interest statements, and so on. Some tax documents don’t need to be sent to you until mid-February, so there’s a good chance that it won’t be practical to file on Jan. 29. However, the point is that you shouldn’t drag your feet when it comes to filing your taxes, especially if you’re due a refund. Once you have the necessary documents, it’s smart to move the process along as quickly as possible. Matthew Frankel has no position in any of the stocks mentioned. The Motley Fool has no position in any of the stocks mentioned. The Motley Fool has a disclosure policy. The Motley Fool is a USA TODAY content partner offering financial news, analysis and commentary designed to help people take control of their financial lives. Its content is produced independently of USA TODAY.